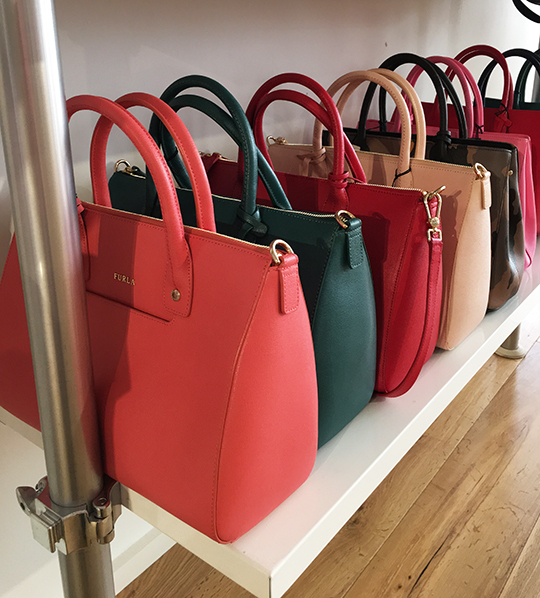 Always a crowd pleaser, Italian leather goods brand Furla returns to New York City's summer sample sale scene today. 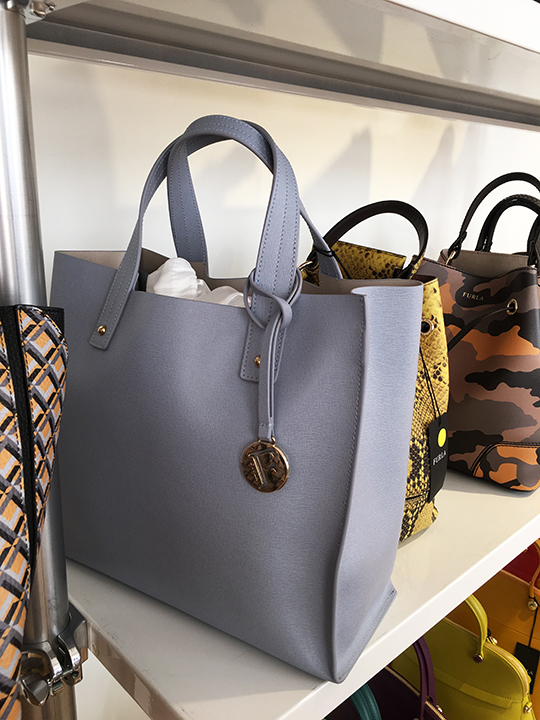 The event, which runs for 2 days only, offers shoppers up to 80% off on the label's high quality handbags, shoes, small leather goods, and jewelry. The sale kicked off at noon today, but there was a soft opening for F&F, so I stopped by earlier this morning. 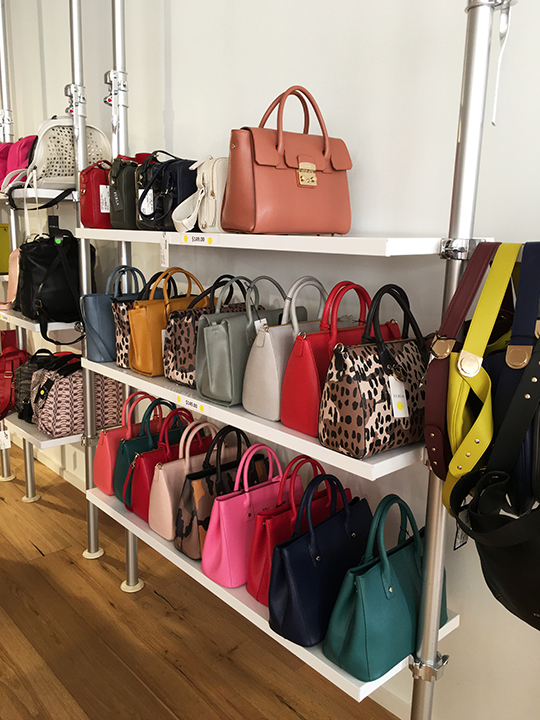 Inside the corporate showroom, colorfully coordinated collections of handbags (including popular styles like Candy, Metropolis, and Piper) and their yummy accessories lined the walls and filled the tables. 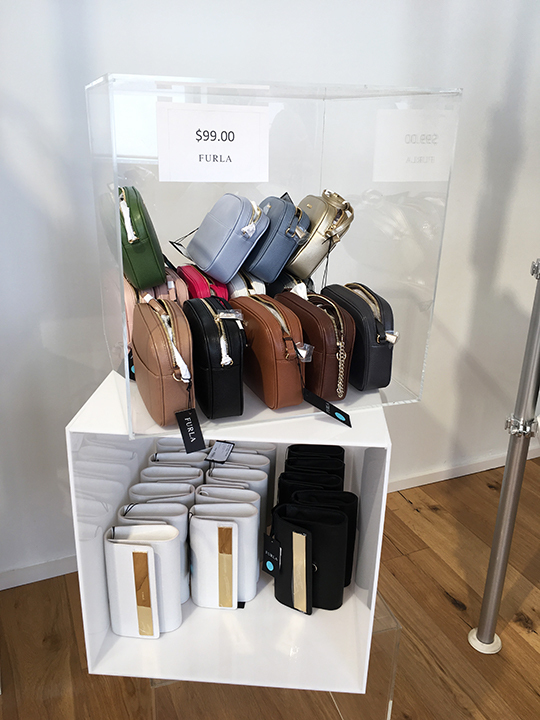 For discount shoppers, this week's Furla sample sale is like a candy shop of bargains. 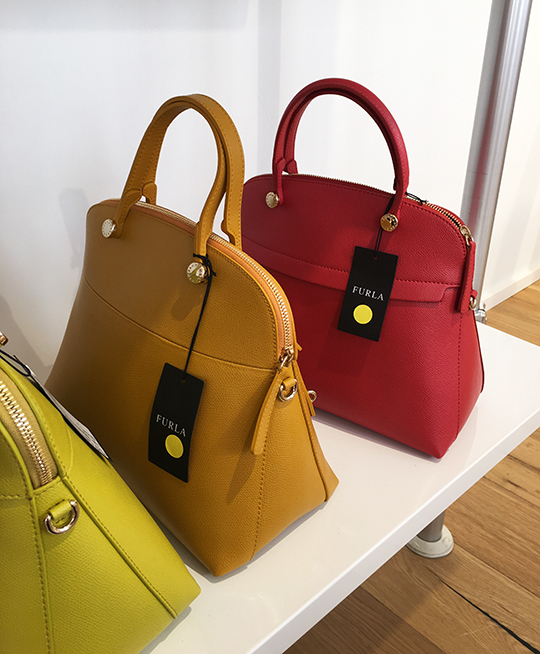 If you ever had a chance to shop at one of Furla's sales held at the brand's headquarters, you may have walked out with shopping bags full of Furla goodies. 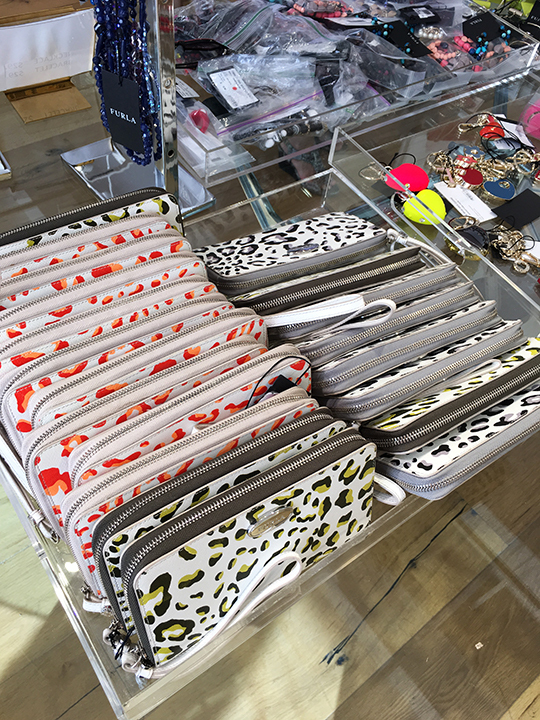 Well, I'm happy to report this week's sale is yet another crowd pleaser. 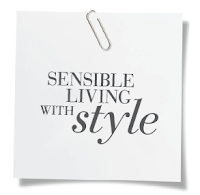 In fact, prices in most cases were lower than at their previous events which makes this a must-attend sale. The ambiance inside this morning's F&F preview was somewhat chaotic. 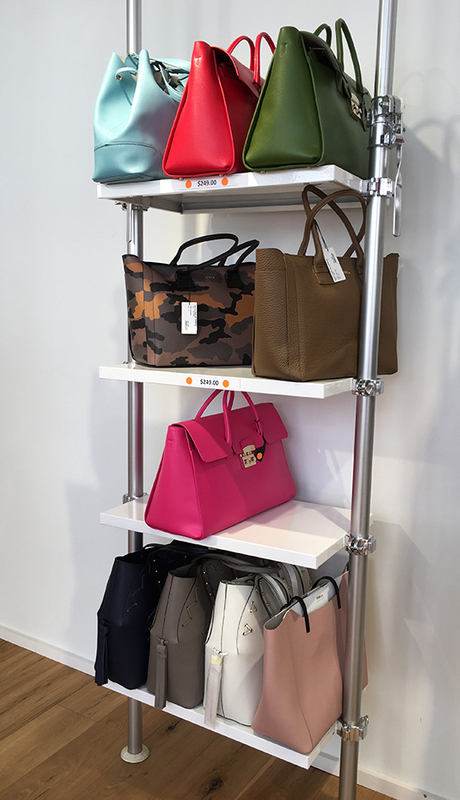 There were only about ten shoppers in the room, but most of them were hurriedly grabbing up items. 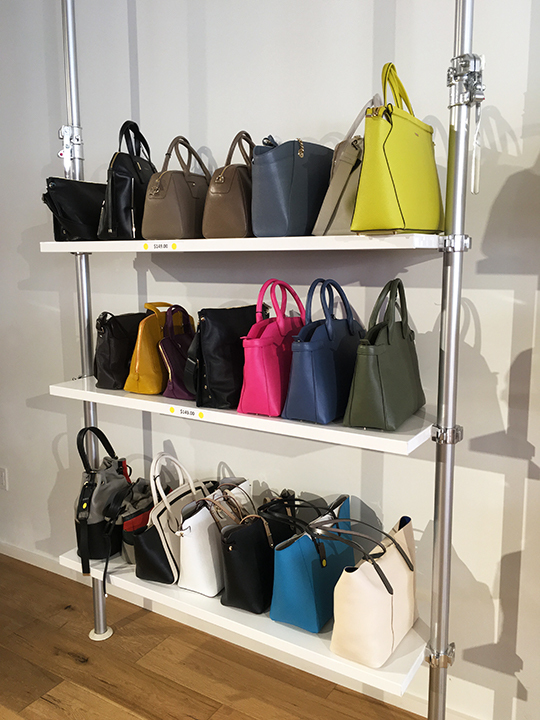 Handbags (satchels, totes, crossbodys, backpacks, and hobos) were displayed on shelves and prices were categorized by design and size. 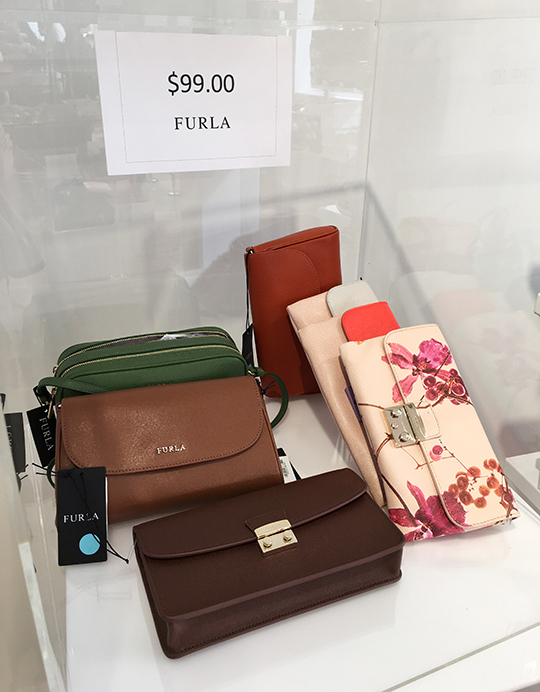 Furla's Candy satchels were available in mini to standard and in many different styles. Prices ranged from $45 to $85. 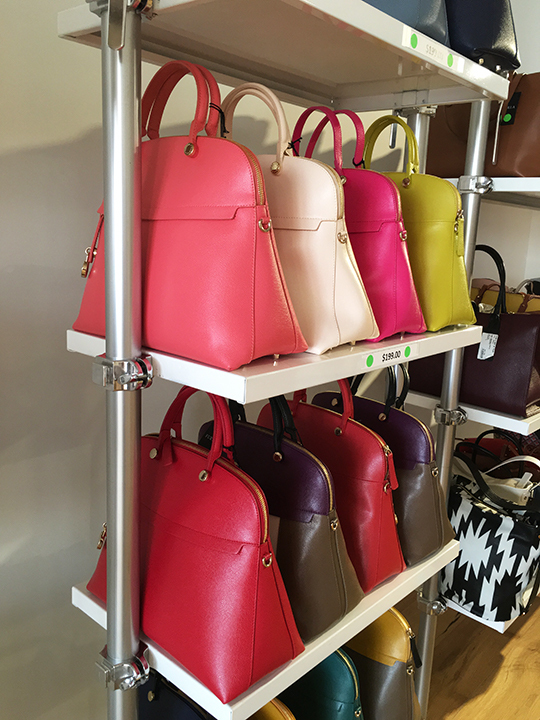 Leather bags consisted of designs like Metropolis, Artesia, Dama, Fantasia, Linda, Luna, Piper, and more. 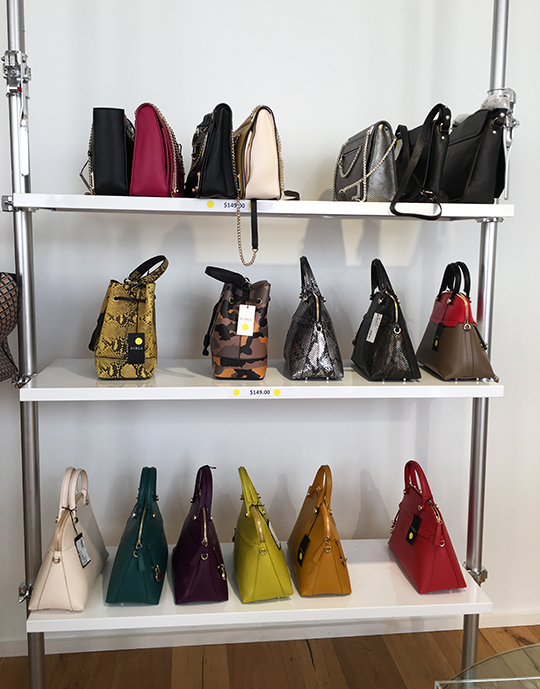 Prices on these leather bags were between $49 and $249. 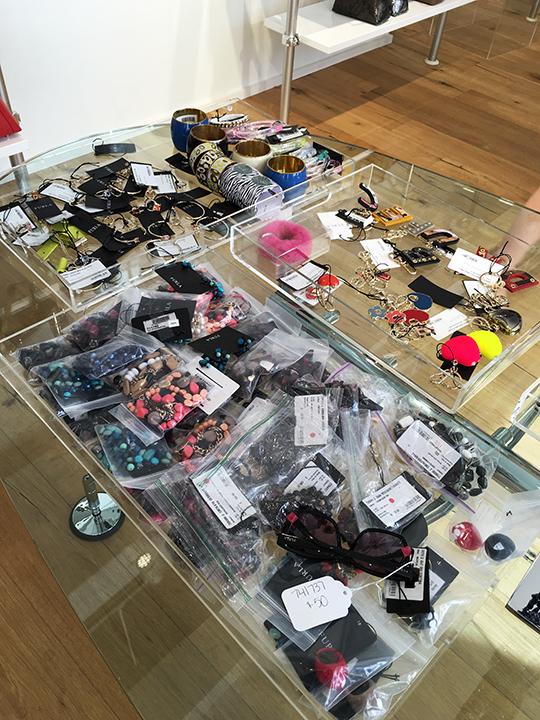 I was particularly impressed with the sale's SLG selection. 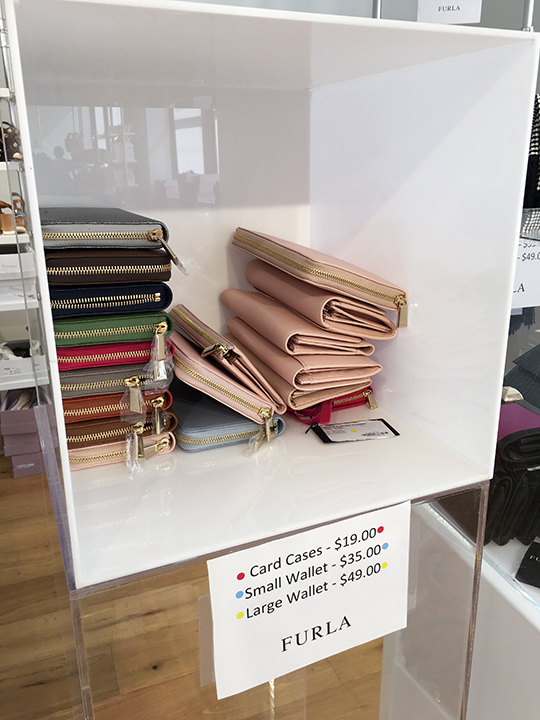 There were cosmetic pouches, card cases, and wallets in brand new condition for $19~$49. 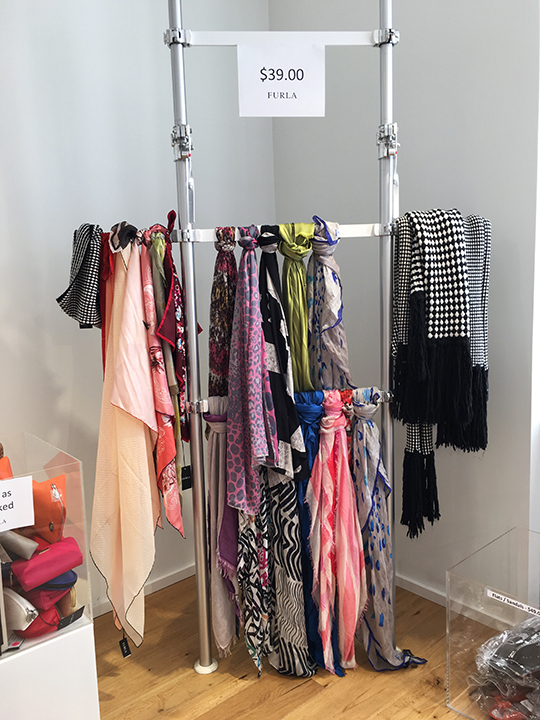 In addition, situated nearby the SLGs were scarves and jewelry. Vibrant scarves were $39 while rings, earrings, necklaces, and bracelets were $15~$29. 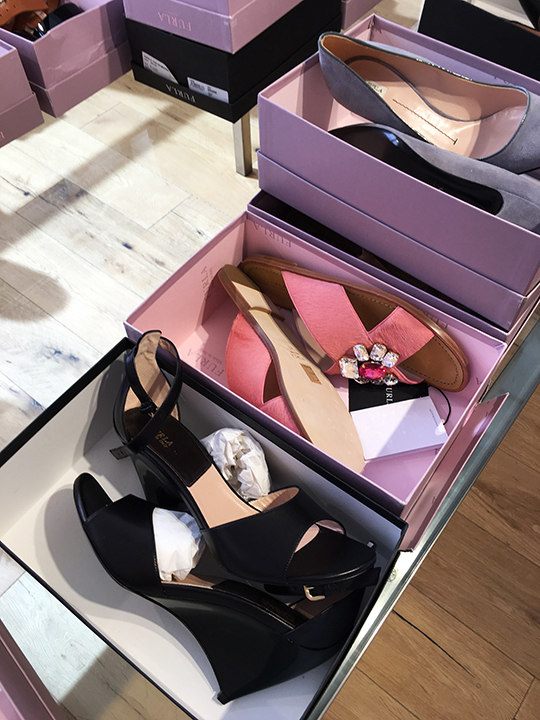 Markdowns on shoes were lower than their last sale. Flats and sandals were $49, heels were $79, and tall boots were $99. If you have the time to stop by, I highly recommend checking this one out. 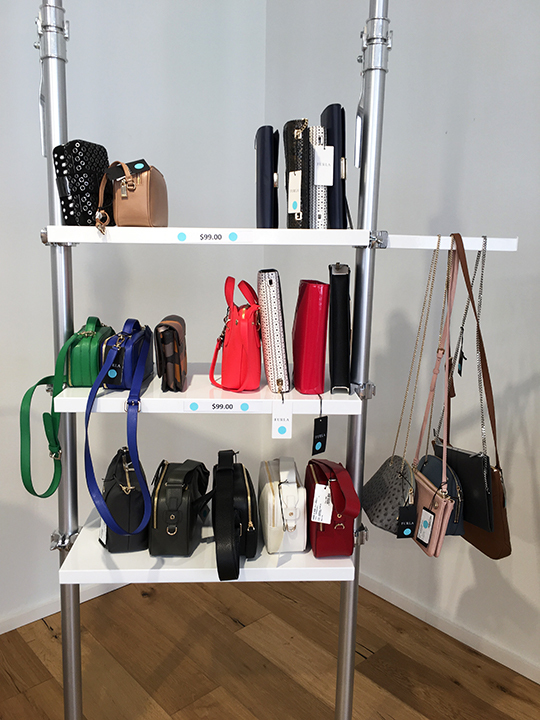 Almost every item was in brand new condition and prices are better than ever. One downside is that there will be no restocking and the inventory was going fast at this morning's F&F. I was there when they opened to the public, first group in. I agree prices were good but there really was not a ton of stock, at all. And most were repeats unless you were shopping in the $149-199 shelves. Pricing was pretty good though, but selection wasn't the best. Their sale this time last year had at least 3 times the stock/selection. 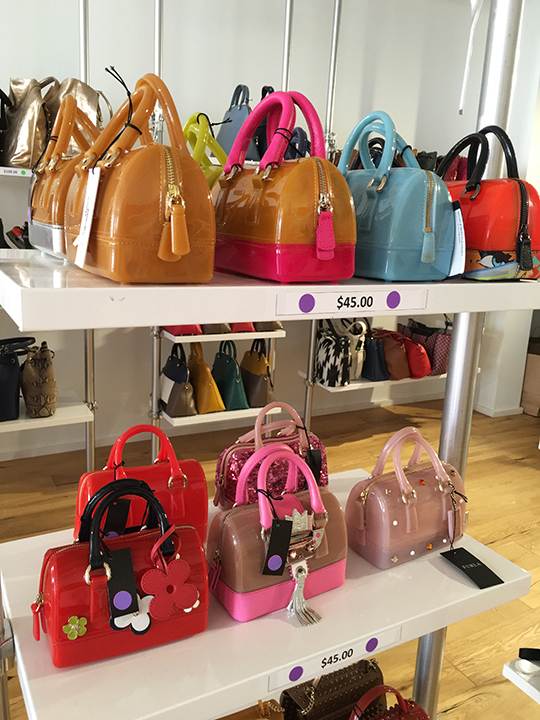 I also saw some bags I saw at this sale last May for similar pricing. 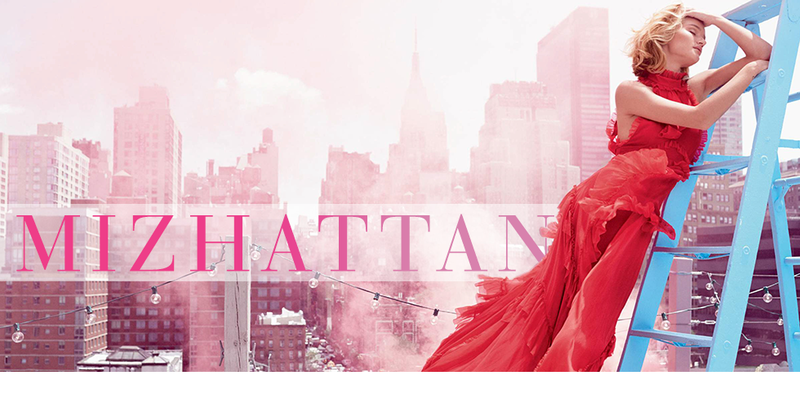 Thank you for posting pics and reviews, I love your posts. It's nice to see what was there this morning! Thank you for sharing your thoughts! Hope you bought everything you wanted. Any updates on what the selection is like today, specifically regarding the Candy bags? I'm considering going during my lunch hour. Thanks! Any news about whether there is going to be a December sale this year?? No word yet but I'll keep an eye out. Cool! Thanks as always Miz! 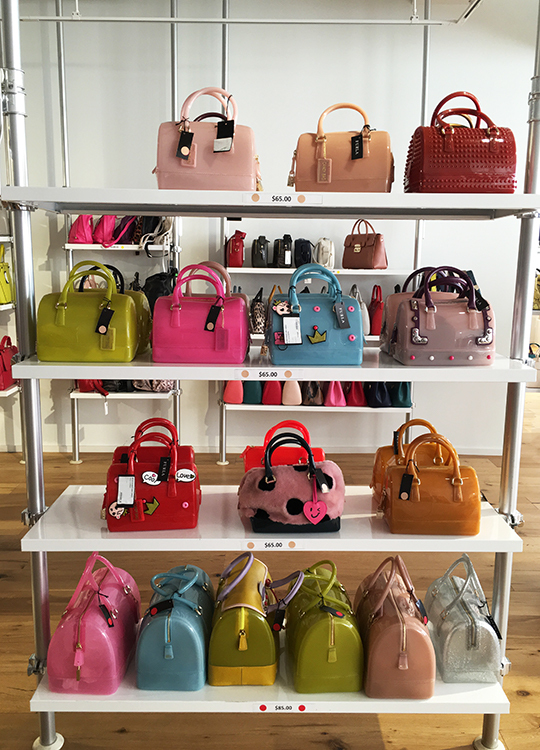 After I saw the photos from this past summer I was crazy about the red studded bag in the first photo and I'm hoping more might be on the way whenever the next sale is!